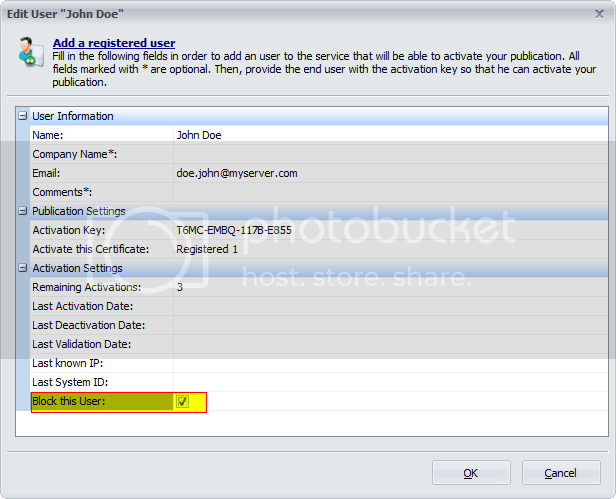 Once your ebook is configured to work with Protect Ebook.net, you must add users that are allowed to activate and unlock your ebook. You can either do it manually, import an existing list of users, generate "fake" users or configure resellers to add users automatically (such as WooCommerce). 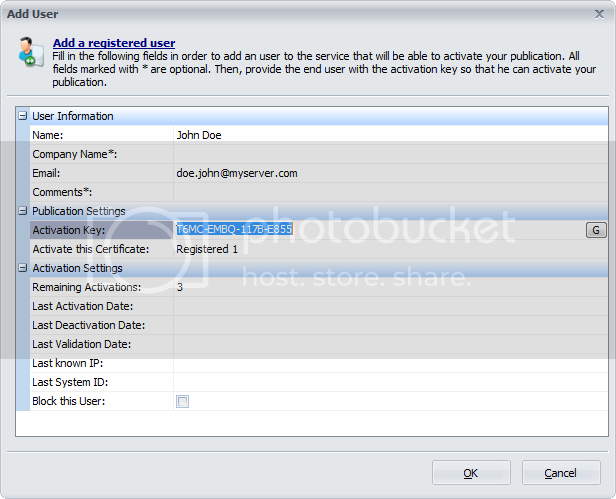 Start the Protect Ebook client, log in, choose "My Users" and select the ebook (publication) in the list. 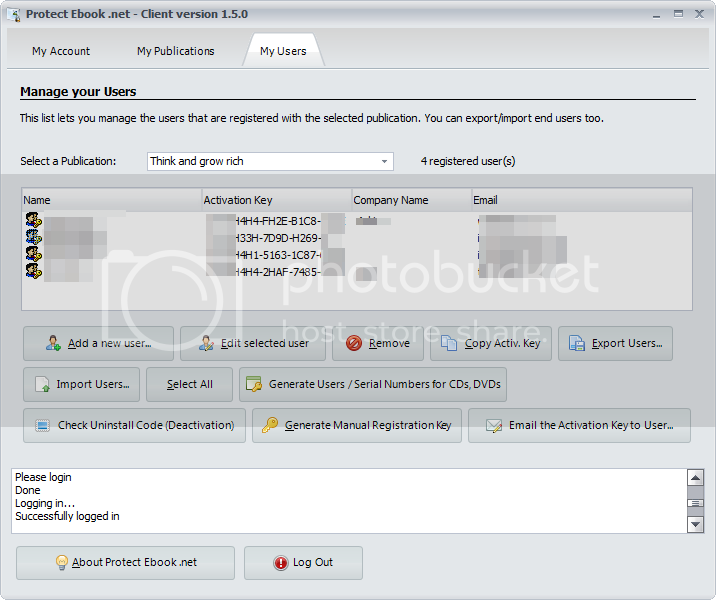 Enter details of the new user, such as Name, Email... Remember that the Name (and Company Name) will be displayed in the About box of your ebook. To generate an activation key, click the "G" button or enter anything you want. 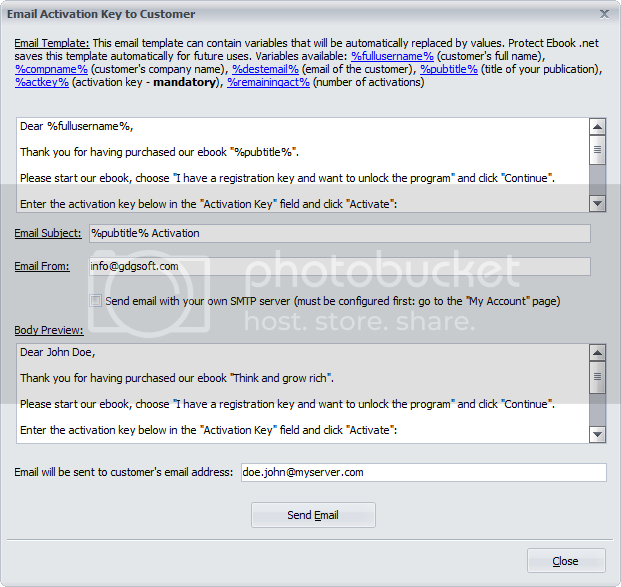 If the activation key is already used, an error message will be displayed when you click OK. The new user is added once the server has validated your parameters. If you got a refund request or chargeback, you can block the corresponding user.